Born as Patricia Mae Andrzejewski in Brooklyn, New York City (USA) on 10 January 1953. Benatar became interested in theater and began voice lessons, singing her first solo at the age of eight, at Daniel Street Elementary School, a song called 'It Must Be Spring'. At 19, after one year at Stony Brook, she dropped out to marry her first husband, high school sweetheart Dennis Benatar, an army draftee who trained at Fort Jackson, South Carolina, and then served with the Army Security Agency at Fort Devens, Massachusetts, before being stationed at Fort Lee, Virginia, where he (Specialist (E-4)) was stationed for three years; Pat Benatar worked as a bank teller near Richmond, Virginia. In 1971, Benatar quit her job to pursue a singing career after being inspired by a Liza Minnelli concert she saw in Richmond. She got a job as a singing waitress at a flapper-esque nightclub named The Roaring Twenties and got a gig singing in the lounge band Coxon's Army, a regular at Sam Miller's basement club. 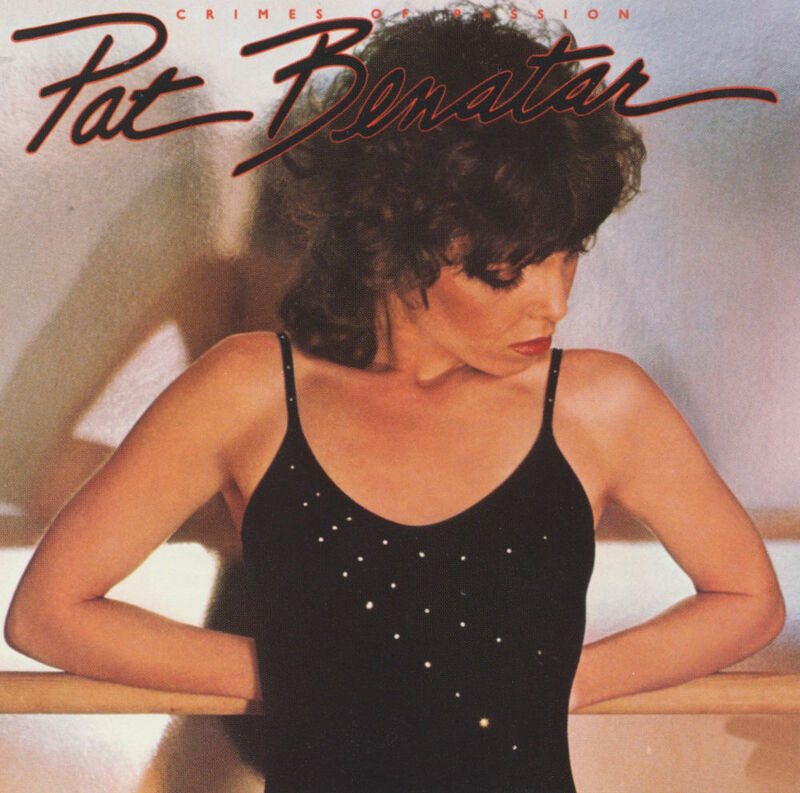 The couple moved to New York following Dennis Benatar's discharge from the army, and Pat Benatar became a regular member at Catch a Rising Star for the next three years. She headlined New York City's Tramps nightclub for four days in the spring of 1978, where her performance was heard by representatives from several record companies. She was signed to Chrysalis Records by co-founder Terry Ellis the following week. Pat Benatar and Dennis Benatar divorced shortly after, but she kept his surname. After her debut album 'In The Heat Of The Night' was a success in the USA, certified platinum in 1980. Her second album 'Crimes of Passion' featured a cover version of Wuthering Heights, a version that became better known than the original in the USA. The album remained on the US album charts for 93 weeks and in the top 10 for more than six months. Her third album 'Precious time' was the first album to also hit the chart in the UK, but it wasn't until the release of 'Live From Earth' and the lead single 'Love Is A Battlefield' that Benatar became a household name all over the world. The story-based music video was aimed squarely at MTV, even featuring a group dance routine inspired by Michael Jackson. Further albums 'Tropico' (featuring the hit single 'We belong') and 'Seven The Hard Way' were also successful. She sang 'Invincible' for the soundtrack of the movie 'The Legend Of Billie Jean'. After this, her career was mainly successful in the USA, releasing several albums of original material plus some Christmas-inspired songs. In June 2010, Benatar's memoir, 'Between a Heart and a Rock Place' was released. The book was published by HarperCollins and was acquired by Lisa Sharkey. Benatar's memoir touches on her battles with her record company Chrysalis, the difficulties her career caused in her personal life, and feminism. The book went on to become a New York Times bestseller. Initially reluctant to undertake the project, she found the actual writing process so enjoyable that it inspired her with plans to write a novel. Pat Benatar. Wikipedia, retrieved 9 October 2017.